Another Alumni stopped by the Club to share his story a few weeks ago! First off we would like to congratulate Michael Cohn on his acceptance to UCSD! He will begin his time as a Triton this Fall! Not only did he get accepted to this prestigious school but he will also be swimming on their NCAA Division 2 swim team after receiving a scholarship!! We are so proud of you Michael congratulations! 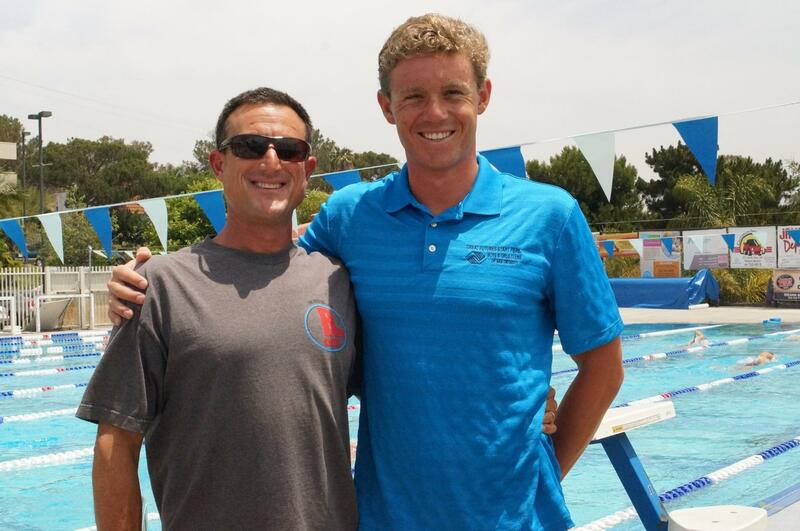 Michael began his club swim career at the age of 11 at Wind ‘n’ Sea Swim Team in La Jolla CA. During his time at Wind ‘n’ Sea, he attended multiple Sectional Championships, Grand Prix’s, National Championships, and other USA invitationals across the country. Michael also attended and swam for Grossmont College his freshman year, winning both Freshman of the Year and Pacific Coast Athletic Conference Swimmer of the Year, setting multiple school and conference records along the way. He was also state runner up in the 200y and 500y Freestyle at the 2012 CCCAA Championships and is a 7 time All American. His career at Rancho San Dieguito began in May of 2013 after leaving his old club of 9 years in search of a bigger team with more training partners and competition. In the summer of 2013, Michael was RSD’s high point scorer at Summer Sectionals in Santa Clarita CA, placing top 8 in all of his events. Back in December, Michael attended the 2013 AT&T Winter National Championships with head Coach Joe Benjamin in Knoxville Tennessee. In May of 2014, he attended the Speedo Grand Challenge in Irvine CA, re-qualifying for Winter Nationals and making a US Open for the first time. Michael is a Backstroke and Freestyle specialist. He is currently the #1 ranked in the back stroke in San Diego County and is ranked 36th overall in the nation in the 200m Back. In addition to being an elite swimmer, Michael is also a professional Jazz and Classical musician. He plays Piano, Saxophone, Clarinet, and Flute, and up until a week ago taught private music lessons at the Boys & Girls Club Youth Arts Academy in Carmel Valley. Michael shared with us how important being a part of the Performing Arts Department at the Boys & Girls Club of San Dieguito now called The Youth Arts academy was for him as a child. Growing up Michael was home schooled so he felt that this program provided him with classmates. In 2005 he was named the Performing Arts Youth of the Year. In our recent visit Michael shared with us fun memories from when he was younger and lessoned that the Youth Arts Academy taught him. He said one of the main things that he learned as a child from his Youth Arts Academy teachers Mark Weed and Chris Conner was that you can have fun while still working hard. He still credits his work ethic today to that motto he learned at such a young age! He plans to study music at UCSD and hopes to one day impact the community through music. Michael we wish you the best of luck at UCSD and hope that you come back and visit us really soon!